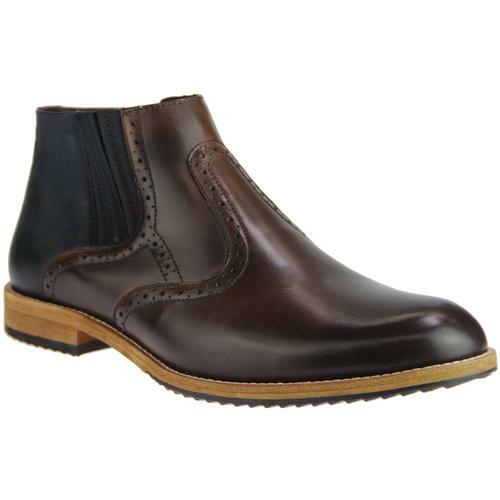 'Rider' Men's classic Mod Chelsea Boots in smooth oxblood (almost dark brown) leather. A Vintage burnished finish creates a classic slightly worn in texture. Featuring Retro elasticated side gusset detail with a leather stitch panel to add that old skool Vintage biker aesthetic. 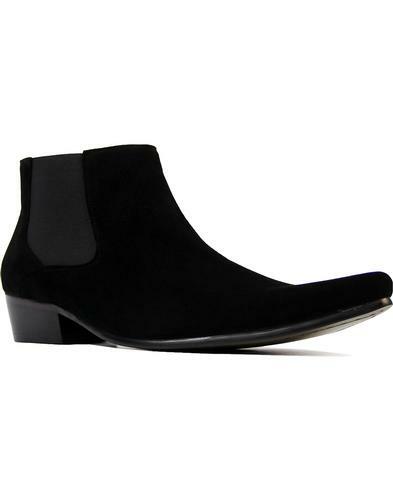 Classic Retro rounded toe, moulded outsole with slight bock heel finish the 'Rider' Men's Chelsea Boots off in style. Memory foam leather sock and flexible rubber outsole ensure a comfortable stepping ground. A simple and stylish Men's footwear staple. 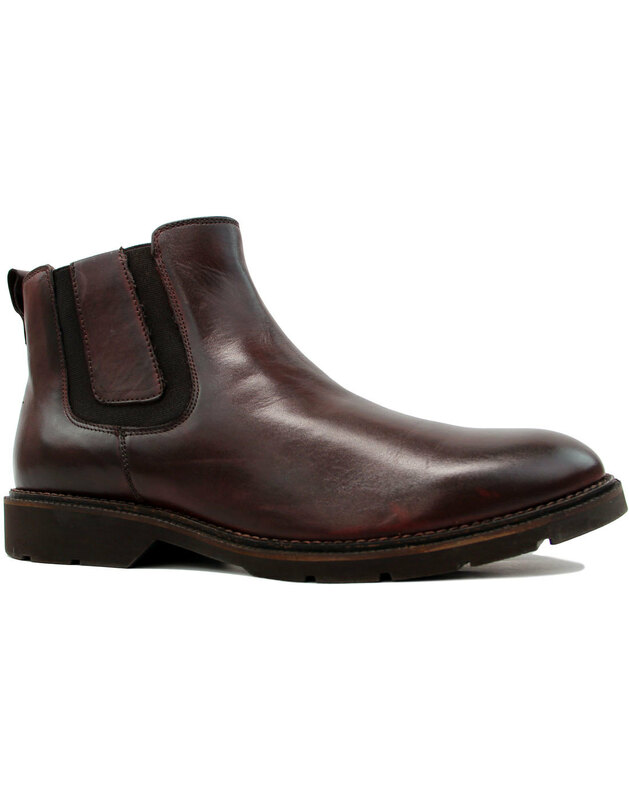 - 'Rider' men's mod smooth leather Chelsea Boots in oxblood. - Retro elasticated gusset detail with leather stitch panel. 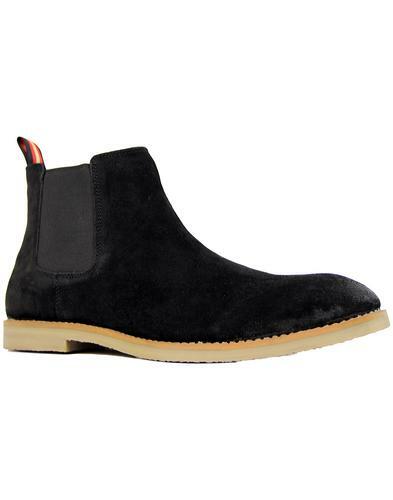 - Contemporary moulded flexi outsole with block heel. - Loop to back to help ease the boots on and off. - Memory Foam leather sock. 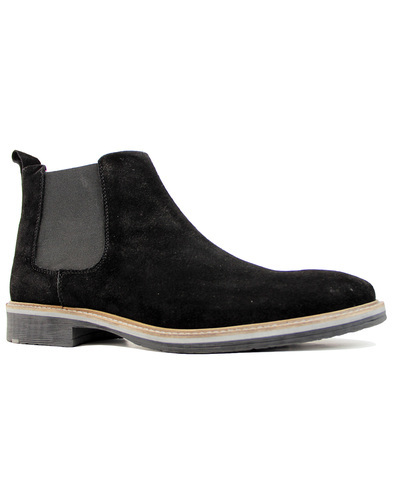 - SKU: M9588BD Roamers Rider Chelsea Boots. Composition: leather upper, textile and leather lining, other outsole.